Waste water is a growing problem as industry, agriculture and communities expand, droughts force the need for reclamation, and aquifers and reservoirs become polluted. Meanwhile, previously lightly-regulated regions of the world are enforcing much stricter environmental regulations. Better water treatment technology can solve these challenges. 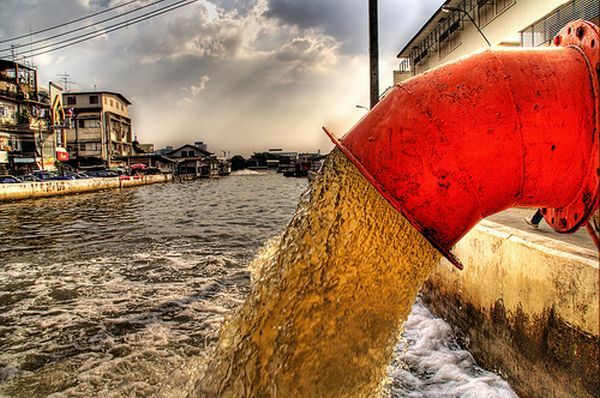 Raw sewage into a river on which communities depend. Our mission is water clarity. We do the heavy lifting at the beginning of the process, making filters and membranes in the rest of the system last much longer, because they won’t clog up as fast. We do this by efficiently removing most of the solids, oils and grease that are suspended in wastewater flows, and destroying much of the bacteria. We also oxidize organic compounds, including those that conventional treatment methods, such as activated sludge, cannot handle, and which eventually end up in our water systems. OriginClear’s breakthrough water cleanup technology, called Electro Water Separation™ (EWS), is a high-speed, primarily chemical-free process that efficiently extracts suspended contaminants from very large quantities of water. EWS targets the one to twenty-five micron size oil droplets and suspended particles for coagulation and flotation. Other treatment technologies are less effective at removing these small particles. We also developed AOx™, our proprietary Advanced Oxidation process. AOx can be integrated downstream of EWS, or operated as a stand-alone module when the effluent contains only dissolved or miscible contaminants that can be oxidized without having to remove suspended solids or oils. Clarified water that filters and membranes can treat for dissolved solids and some remaining trace contaminants. Concentrated waste that can be economically turned into energy, for example. As an example, the chart below shows a dramatic reduction of Ammonia Nitrogen in an animal farming effluent done by our Licensee in Spain. Ammonia is reduced by more than 96% in 30 minutes, from 3,219 mg/l down to 47 mg/l. If you have existing processes for waste water treatment, consider integrating EWS:AOx into your systems to make them more efficient and scalable. We will license our technology to you under private label. Simply click on the banner at the bottom of this page. Microalgae harvesting for nutritionals, feed, food and soil improvement. Ammonia-loaded cattle farming wastewater effluents. Leachate from Anaerobic Digestion (AD) systems. Up to a 99.5% reduction in suspended solids. Up to a 98% reduction of bacteria levels. Reduction of wastewater treatment method fees. Increased efficiency in removals of downstream dissolved solids. Reduced footprint compared with settling tanks, gravity separators or biological treatment basins. Ennesys successfully implemented a prototype EWS Waste system to process liquid human waste sewage into nutritious water for growing algae in its integrated sustainable energy system in Paris, France. Recent floodwaters completely invaded an electrical manufacturing plant, leaving behind industrially-contaminated mud. Deploying its self-contained mobile unit incorporating EWS, OriginClear cleaned up the water that disaster crews used to wash away the mud. 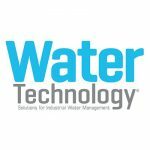 OriginClear Inc. announced a new division for Modular Water Systems, which offers a product line of prefabricated water treatment systems.